It’s no secret that Juventus are interested in Real Madrid’s centre-back Raphael Varane. But who isn’t? 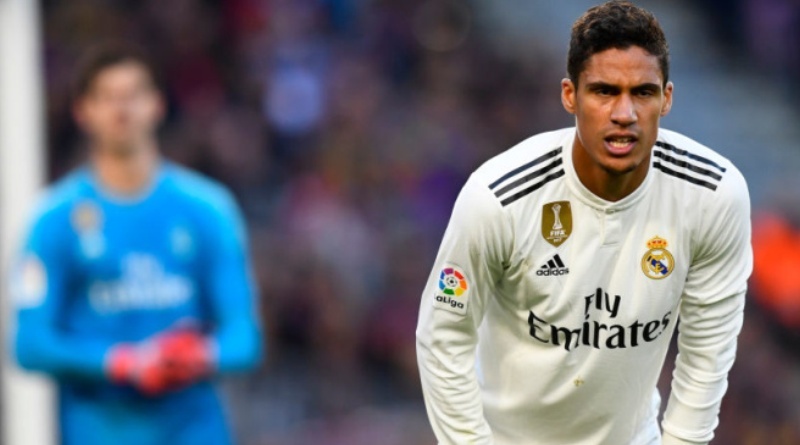 According to the football transfer rumours in Spanish media, Juventus are keen to land Real Madrid star Raphael Varane. The France international was signed by Real Madrid in July 2011 from Lens for a fee of 10 million euros. The 25-year-old has a contract until 2022 with the club. Varane has played 268 times for Real Madrid since signing from Lens, scoring 12 goals and creating 6 assists in that time. The 25-year-old is considered to be one of the best centre-backs in France. His record for France is also impressive. Raphael Varane has scored 3 goals in 54 matches for France at senior level. The report details that Massimiliano Allegri feels his defense currently lacks some bite and that he could strengthen this summer. He is a long term admirer of Varane and believes he can get the most out of the France international. Varane is a traditional defender. He is solid while defending and holds his position perfectly. Real Madrid are not in a position where they need to sell and would like to keep hold of the centre-back, but right offer may force the club to consider a deal. Signing the 25-year-old in the summer transfer window would be a masterstroke from Allegri. Stylistically, Varane would be a great fit in Juventus. It will be interesting to see what happens when Juventus come calling for Raphael Varane this summer.